8+ for mixed conditions...you might want something a little wider and more surfy depending on your style and preferences. 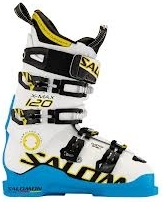 The Silo Topos have a definite Eastern bias with a surprising authoritative bite on hard snow, solidly directional, on-edge personality with an unexpectedly fun personality in 3-dimensional snow surfaces. These are essentially the first public demo skis for Silo after getting the solar-powered, trailer-based shop up and running last season, so they have a slightly rough fit and finish compared to more established brands, but this will quickly change based on the pictures we have seen of recent skis coming from Lars Whitman. What really counts is how they ski, and with an endless field of "me-too" brands showing off some pretty common shaping, camber and layups, Silo's skis have a unique personality and feel to them which Eastern skiers will immediately like. The cores of this pair of skis were crafted from eco-friendly 9-ply birch plywood from Oregon, layered with carbon and biax fiberglass supporting. VDS-rubber dampened edges and 4001-series bases. Plywood-core skis are somewhat rare, but if you've never tried a pair, you'll be surprised how lively and energetic they are, while keeping a damp and stable platform to take lots of carving pressure. The feel of the chassis is agile and energetic with very good edgefeel underfoot without being annoying, delivering super-solid grip and control on demand. The 20-meter radius, shaping and full camber design lends itself to GS-like turns more than cut-and-thrust SL turns at speed, yet in twig-infested bumpy powder terrain, the Topos turn easy and willingly without any real effort, which is fun and unexpected. The long radius and conservative shaping give these skis a nearly retro-feel, and offer a reassuring zero-darty feel at speed on hardpack...not quite a racing ski feel, and not a carvy all-mountain mid-fat feel either. Hardpack grip and carving behavior was impressive. Forcing the skis to crank a tighter turn than their design calls for results in a quick bite and directional change of the entire ski rather than a washaway, which many modern skis do under the same circumstances. This particular pair has a slightly "straight-ski" feel to them, which means speed is favored over turny behavior, but Lars can build whatever geometry you might like into his custom skis. The construction layup results in a great-grip ride with excellent personality traits and feel you can't quite find in other skis. Lars has a promising future making skis and he's one of the nicest guys to talk about skis with you'll find anywhere. If you want custom skis make by a craftsman from Vermont and don't want to break the bank, see Lars at Silo. Refinished and retuned at Northern Ski Works, Ludlow using a crispy, brand-new Wintersteiger Mercury tuning machine. 0.5 degree base bevel, 2 degree sides, tips detuned slightly. Slightly rough fit and finish, better than home-made, but less polished than larger brands and more expensive custom skis. Moderatly stiff and energetic hand flex. Torsionally strong. Flex bias is slightly soft tip, with large-radius flex arc from midbody throught the tail. Unique and abrupt tip bend. Full camber. Looks like a long-radius ride for a 174cm ski. Topsheet topographic map is very cool. Looks like a vacuum-fit cap topsheet wrapping around the sidewalls. No tip or tail protectors. This pair had seen many demo days, so we got an idea how they hold up under constant usage..showing some topsheet and tail chipping here and there, but definitely in great shape. Eastern corduroy, man-made dry packed powder (shin-deep max), Refrozen man-made hardpack boilerplate in places. The first time we tried the Silo Topos, it was rock-hard snow and the skis were edge-high / railed and were grabby. We took them to Northern SkiWorks in Ludlow, VT and had Corey Palmiter work his magic on the Wintersteiger Mercury tuning machine to bring them into race-mode. We had them set to 0.5 degree base and 2 degree side bevel with nearly zero detunng and they were all-business, delivering a really stunning degree of grip for an all-mountain design. Civilians might want to run a 1 degree base bevel and detune the tips and tails a bit to make them less demanding, but oooh..the grip at 0.5 degree base sharp tip-to-tail! The Topos have a remarkably quick edge-to-edge reaction time on hardpack and can take a race-level amount of pressure without protesting or washing away. In this race-type state of tune, the Silos were serious hardpack etching tools an expert can drive enthusiastically....more than most recreational all-mountain designs. The relatively long-radius shaping meant the Silos wanted GS type turns and be ridden along their entire length on hardpack instead of driving the forebody or tails independently. The relatively straight tail shape meant the Silos did not auto-complete their carves on hardpack as some carving-oriented skis do, requiring the pilot to maintain pressure and pay attention during the powering phase of the turn. This also meant the Silos never darted across the hill if you weren't paying attention and ended up in the back seat. They would rather straighten out the turn rather than hook across the hill and send you into the weeds. Vibration control was very good and energy delivery was spunky, completely shattering the preconceived notions about plywood core performance being sub-par for hardpack carving. Overall, the Silos have a top-shelf grip on hardpack, which is often missing in many custom skis at affordable prices. The Silo Topos were rock-solid in mixed snow conditions, with a definite bias toward being directional line-holders rather than surfy top-riders. They prefer to be driven across the mixed materials under power rather than passively ridden, and deliver a trajectory with confidence. They might straighten out a little if you release pressure too early...again showing the behavior of the relatively straight shaping. They have zero deflection and never wander, making them reliable trackers. Bouncing up and over uneven terrain surfaces was effortless due to the high-energy of the chassis layup, making them sporty and solid with rebound on demand. Turn intiation required a bit of concentration since they are not turny by nature, but confidence-inspiring once set on their line and pressured through it. The Topos were full of energy in the bumps, and as long as you didn't get their somewhat stiffer midsection too deep into the troughs, they didn't fight back. Hit the bumps straight on and skim the top sections delivers a bang-bang-bang ride with lots of reaction and easy-up-and-over rebound energy. If you get too deep in the bumps, they felt a little like a race ski out if its element due to the stiffness and flat tail. We had the chance to get them into shin-deep, dry powder conditions and they were surprisingly fun and easy to navigate through open terrain or twig-infested bumpy powder zones. The most remarkable impression testing the Silo Topos was how well they worked in powder snow, despite just getting them on-edge in a hardpack grip-fest for many runs the previous day. Wonders never cease. A test platform for shaping and camber built to demonstrate a modern take on the benefits of straighter-sidecut skis in a wider design. The "test" ski that becomes the builder's favorite. That homebrew, made by the guy everyone knows, that's so good it could go commercial, but he or she would rather just make beer for friends and family. Add tip and tail protectors, make the sidecut a bit more shapely in the tail...widening the last 25% of tail to hook up and create a more locked-in bend to the ski under pressure. Maybe draw the forebody taper down to the midbody a litte faster and earlier down the ski, increasing turn initiation and shortening the radius. Chassis components are great the way they are. Super-grippy frontside all-mountain ski that loves GS-sized turns. If you like a less turn-happy ski for all conditions and want to etch arcs into hard snow when needed, this one does the trick, and you can meet the guy who makes it! Since this is a custom ski, know which models of other brands of skis you really liked and be prepared to give Lars the dimensions and camber profiles so he can determine what to build for you. Take notes on what you like and disllike in other skis you have tried and tell Lars all the details. Pick a cool topsheet design! Who and What Are These Good For? Resort frontside skiers who want something hand-made without paying premium prices and crave a slightly locally-made look. "Buy-Local" types will love Lars and his ski building operation.